Fresh fruit and produce are staples of a healthy diet, but can be hard to come by in the countries where we work. Help us plant a fruit tree, irrigate and fence a vegetable garden, and train 25 women how to properly tend to both for maximum results. 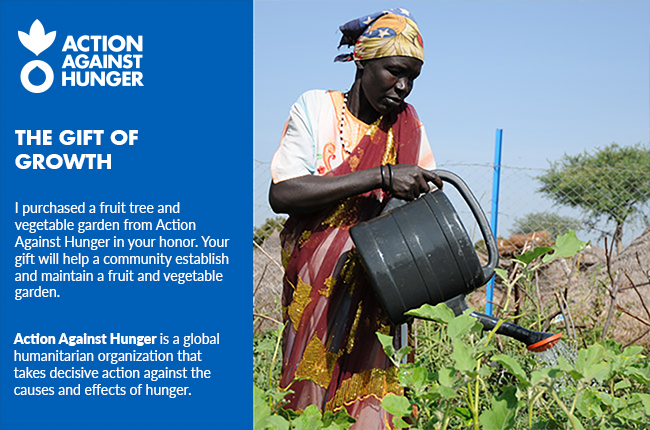 This gift gives back all year long, as the fruit tree is bountiful during rainy season and the vegetable garden harvests throughout dry periods.